Building your own solar panels can save a lot of money for you. I do not know if you are a person who likes to do things by yourself and whether you have done your own projects before, but why not give it a try? I have listed out the things that you will need to build solar panels on your own and my suggestion is that start with one panel. You can then decide on how many number of PV panels you actually require and just repeat the process. 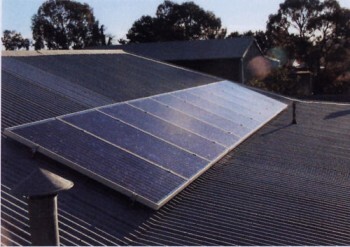 Before you begin, you need to have Photovoltaic or solar cells. There are many manufacturers of solar cells in the market and you can buy any of them. You can even buy them on eBay and have it delivered to your doorstep. But before that, you will have to determine as to how many number of PV cells you will need prior to placing an order. It is recommended that you go only for the A-grade solar cells. It is better to build solar panels with better grades of cells because you’ll get a better energy output. The next item that you need is the frame to mount the solar cells. I suggest that you use 1/8th inch thick aluminum angles to make the frame. Of course, you can use 1/16th inch angles, but if you want it to last for many years, it is better to use thicker grade angles. I have built my solar frame with 1/8th inch thick angles and it works just fine. Tempered glasses are also required for making solar panels. My suggestion is go with 1/4th inch thick glasses for your panels as it provides strength thus the panels that you build will last longer. You can easily buy tempered glasses online from any of the many listed glass suppliers. In order to mount the solar cells to the substrate, you will need encapsulating epoxy. It can be bought online in varied quantities or for each panel. This is normally what I do. Make sure you layout all the solar cells after ensuring that connections have been properly soldered and testing with a 300 watt light bulb to determine the DC voltage that it is generating. It is important to test each stringer of cells to avoid problems later. Allow a setting time of 4 days for the finished encapsulated panel. If you need more instruction, check out all the DIY home solar guide in the market for step-by-step instructions on making solar panels. I would, recommend that you buy a step-by-step guide before you attempt to build solar panels on your own. The book will tell you all that you need to do from start to finish. Are excited about started your own homemade solar panel project? My first experience was pretty interesting. I was a bit hesitant in the beginning and did break some solar cells. However, after a few trial and errors, I did managed to solder a string of solar cells. Keep repeating the process and before you know it, you have enough PV cells soldered to make your solar panel.